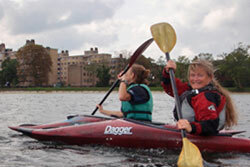 The Castle Canoe Club is an open and friendly adult canoe and kayak club. We welcome everyone from beginners to the more experienced paddler. 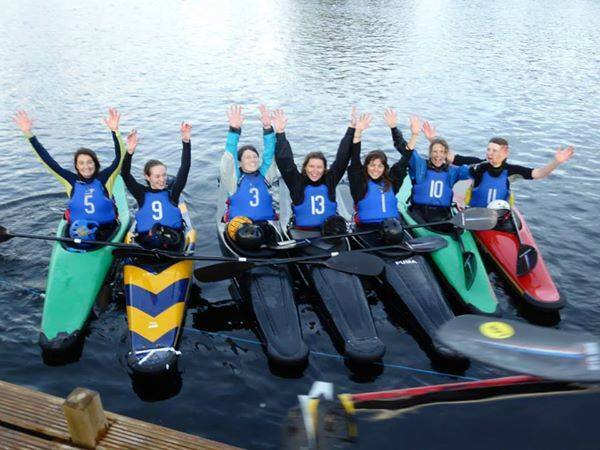 Experienced paddlers are on hand at regular sessions and we organise various courses throughout the year. 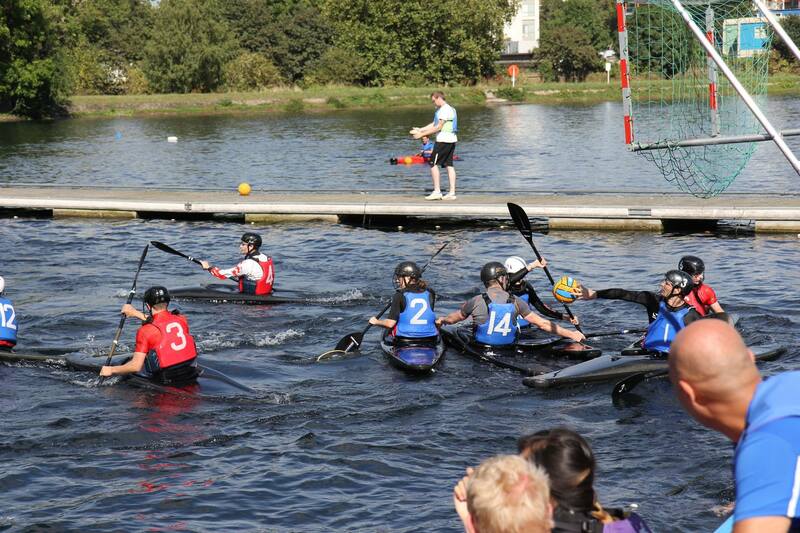 Our active canoe polo group train and play each club session. We also run trips (including whitewater and sea kayaking) throughout the year. We’re based at the West Reservoir Centre just off Green Lanes in Stoke Newington (N4 2HA). We have access to a large selection of equipment and excellent modern changing facilities. 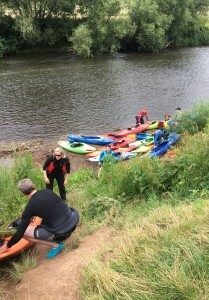 You must either be a member of our club or sign up to one of our induction session to paddle here. We’re open Sundays 10:00-13:00 and Tuesdays 18:00-20:00. Members can also paddle at other times for £10 if available – call (020) 8442 8116. 10:30: If you’re new to our club, you’ll need to come to an induction session where we’ll show you the ropes. 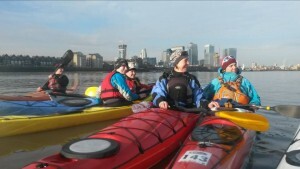 The session will cost £10 and includes a couple of week’s paddling whilst you decide whether to join our club. No need to book, but it’s first-come, first (20) served. 10:30: This free training session is run for members by members. In this session Cedd Berge will show us how to do braces and support strokes to keep you in your boat and the right way round! 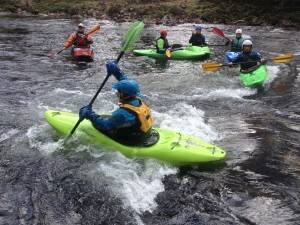 All day: Dave Driver is organizing a trip to the river Medway on May 11th (Saturday). The route will be from Tonbridge to Yalding, passing through several locks. The locks are easy to get past due to dedicated portage points for kayaks and canoes. For the more confident (and weather permitting) there are also canoe slides so you can even avoid the portage. After disembarking the pub is only a short walk. Email us if you’re interested. Please also state whether you are capable of transporting boats. There are trains between Yalding and Tonbridge, but a shuttle may be easier, so please also indicate if you are happy to do that as well. 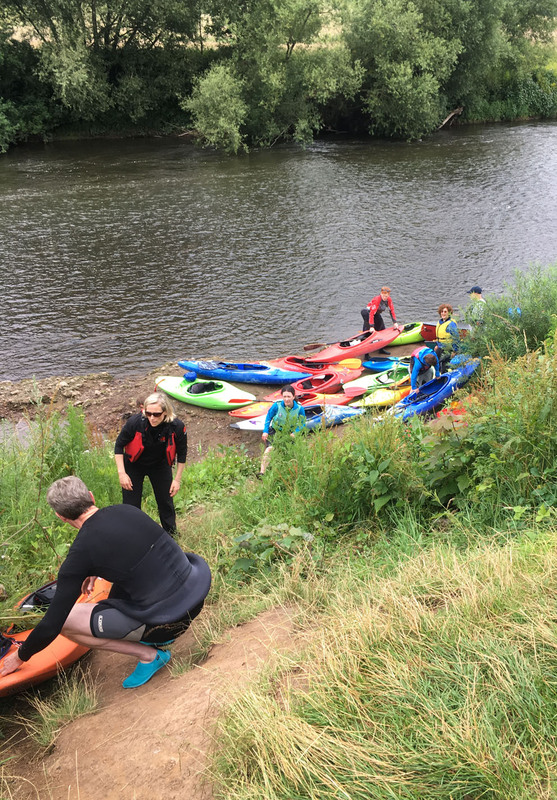 10:30-15:30: This “follow-on” course is perfect for beginning who who’ve done our induction session and would like some structured paddling tuition. It costs £40 (or £60 for non-members) and is run by the West Reservoir Centre. Please call them on 020 8442 8116 to book your place or visit reception. Courses may be cancelled if there are no bookings, so do register your interest early. See our Calendar for the full list. Manor House tube station ( Piccadilly Line) is a 5-10 minute walk from the centre. Bus numbers 341, 141 and 106 all stop outside the entrance to the centre. Walk past the Castle Climbing Centre and enter the main door to the water works building. Just drop us an e-mail - info@castlecanoeclub.co.uk. 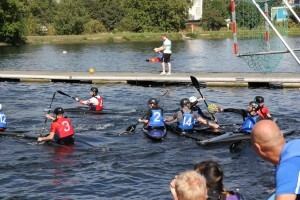 Castle Canoe Club members regularly play canoe polo. We have two full sizes pitches at our reservoir base. 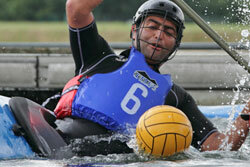 We have all the necessary equipment, including polo boats, goals, helmets and faceguards. All club members are welcome to join in. We have an active group of players of all levels. Currently we also have four active teams in regional and national leagues. More information is here.